Laure Belaribi is KinéSport’s coach in Fréjus (France) which is equipped with Winback for 4 years and recently purchased Cryoback. The benefit she gets with these machines relies on the fact that they have a tremendous complementarity. The standard version is focused on the skin and lymphatic drainage. 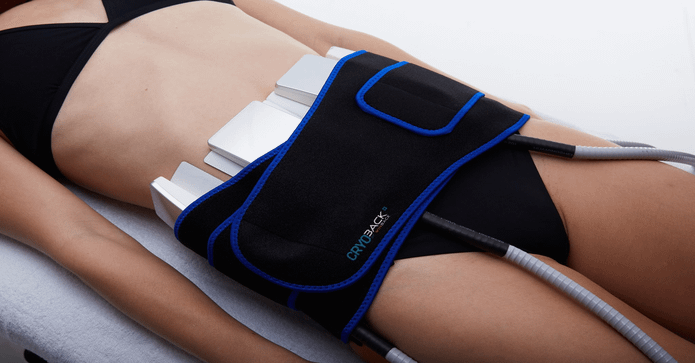 Whereas, Cryoback works with cryocooling; some technical information might be needed. By targeting an area of the skin and exposing it to a temperature of 0°C, superficial fats are eliminated. Winback has chosen not to go any lower in order to respect the body. Indeed a temperature lower than -4 degrees would be likely to attack essential tissues. Our device is programmed so as never to touch the deep fats (essential to a well-functioning body). For even more results, this device is equipped with the Cryopulse system. Thanks to an electrode, the permeabilization of the skin is activated. The cold can pass through it in depth without invasive or abrasive effects. In addition, pulsed currents have pain-relieving properties and nourish the skin by adding active ingredients. A noteworthy example is the case of a client a month ago losing one kilo each session by accompanying it with healthy eating habits and a physical activity. Her percentage of body fat dropped impressively, especially in the belly! A client comes to emphasize her words: in search of a skin with its past elasticity (interested in an improved skin quality ? Check our interview of Patricia Brizon Winback beauty coach). She admits she was a little intimidated at first by the electrodes, but the moment is a real pleasure! It’s just taking an hour for yourself and your well-being. In 3 sessions, the before and after photos are already amazing! She feels that her meeting with Laure is the sporting trigger of her life, and she gets nothing but positive out of it. Cryolipolysis is regular, painless and effective; it’s an unconditional “yes” for her!